Donner Lake from the top of Black Wall. 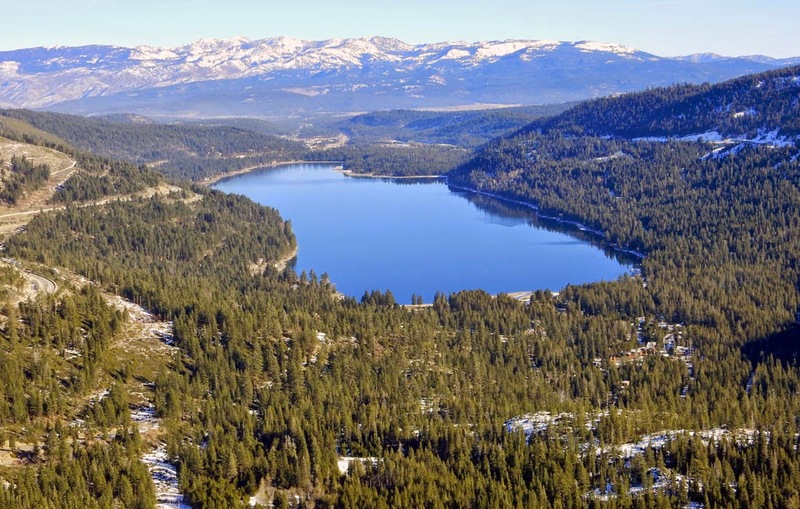 The Truckee Donner Land Trust, in partnership with the Access Fund, has signed a letter of intent to purchase 10 acres on Donner Summit. The acreage includes the popular climbing areas of Black Wall, Peanut Gallery, and Road Cut. Black Wall is a 350-foot granite wall off of Old Highway 40 on Donner Summit. There are numerous routes up Black Wall which are from 2 to 4 pitches in length. Peanut Gallery and Road Cut are smaller granite rock formations. Donner Summit is a climbing destination for beginners to experts. The land purchase will ensure that these popular climbing areas stay open to the public forever. Access Fund is a climbing advocacy organization that keeps U.S. climbing areas open and conserves the climbing environment.